As we come close the end of another year of working to turn the human race into the human family we pause to celebrate some significant legislative victories. Last week’s repeal of “Don’t Ask Don’t Tell” ended seventeen years of state sanctioned discrimination against gay and lesbian military personnel. And today we applaud the Senate approval of the New START treaty – a bilateral nuclear arms agreement -- by a 71 to 26 margin. Other good news from the so-called “lame duck congress” was the extension of unemployment benefits, the approval of health care legislation for 9/11 first responders and an encouraging spirit of bipartisan cooperation. There is much to be grateful for! There is also much work still to do. Sadly the Dream Act -- which offered a path to citizenship for undocumented immigrants brought to the country as children -- fell short of moving forward. Standing in alignment with God’s love, justice and compassion calls us always to be advocating for those on the margins. While we rejoice in these important steps forward we also redouble our efforts to make God's love tangible by working for comprehensive immigration reform and call the new congress to prioritize issues of poverty, peacemaking and equality. PASADENA - Lydia Wilkins, who lived through more than a century of hard-fought change in race relations and relished casting her vote for the first black president has died. She was 106. A devoted - and impeccably stylish - parishioner at All Saints Episcopal Church, Wilkins continued to attend services until two weeks before her death on Dec. 9, All Saints Rector Ed Bacon said Monday. Wilkins, who would have turned 107 on Jan. 12, will be celebrated at with a memorial and party in her honor at the church on Jan. 16, he said. "She was nothing short of amazing," Bacon said. "She was a person full of stories and eager to tell them to the world." When she was born in 1904 women couldn't vote, and it was was difficult or impossible for black men to cast a ballot, Wilkins recalled in an interview with the Star-News before the 2008 presidential election. "I didn't think I'd live that long - I think it's wonderful," she said of seeing Hillary Clinton and Barack Obama run for the presidency. Until she was about 101, Wilkins drove herself to the polls and her daughter, Marjorie Jones, said that both her parents were always politically active. Wilkins, a lifelong Episcopalian, also lived to see profound changes in her church, and at All Saints, the Rev. Zelda Kennedy said. 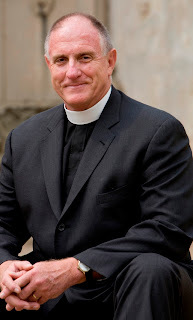 "No one else brings that history, that link, to so many different aspects of Episcopalian history, some of us can't even begin to imagine," Kennedy said. "When she was growing up girls couldn't be acolytes, and women couldn't be priests. She lived long enough to have a priest like me." Bacon called Wilkins a "pioneer in all of that change." "She had very little patience with any kind of discrimination, ... and she wanted the church to change more quickly than it did," he said. "She was rather an impatient person, an irreverent person, but a very holy person." Growing up in East Orange, N.J., Wilkins said she never encountered much overt racism, and she graduated from a racially mixed high school. "New Jersey didn't have strict segregation," she recalled in 2008. "No one at school was allowed to call names." But she wasn't always insulated from prejudice. Wilkins remembered dropping out of Temple University in Philadelphia because of swimming class. "That's why I didn't finish college," she said. "They encouraged the girls to get out of the pool if I got in. It was terrible ... When they did that, I wouldn't go back, and that's what they wanted." However, she did meet her husband at Temple, and the couple came to Pasadena in 1933 when he became vicar of St. Barnabas Episcopal Church on North Fair Oaks Avenue. The couple and their two daughters stayed until 1942, when he became a World War II Army chaplain, and they retired to Pasadena after he had headed churches in Texas and North Carolina. Wilkins always remained interested in politics and church affairs, Bacon said. "The word she's associated with in my mind is engagement," Bacon said. "She insisted on being engaged with everything, everyone at the church and, when I took her to dinner, being engaged with everyone in the restaurant. ... I've always thought the secret of her longevity is that she simply insisted on authentic engagement." Wilkins herself attributed her long life to never drinking cola. "My grandmother said it wasn't good for me," she said in 2008. There may have been a couple of other secrets. "Yes, she did like her martini," Bacon said, laughing. And her daughter joked about her mother's "interesting" start to the day. "For breakfast she likes half a grapefruit, all the sections cut out, sprinkled with sugar - and then rum," Jones said. 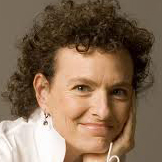 Kim Rosen has discovered that words have the power to change one’s life. When Rosen and her book Saved by a Poem were profiled in the New Yorker a year ago, millions of other individuals also discovered this. We know those times when a poem, a prayer, or some sacred writing is speaking to us because it reverberates somewhere in our soul. Rosen takes this attraction a step further by asserting that speaking this poem or prayer aloud may cause shifts in our feelings, thoughts, and biochemistry that open our consciousness, aligning us with what matters most. Especially during these challenging and uncertain times, sacred writings can become companions through difficulty, a wakeup call, and a source of peace and inspiration. If, for some reason, you had a negative reaction to poetry in your school days, leave that all behind, and prepare to be surprised by the possibilities for new and deep experiences in your life. Copies of Rosen’s book will be available. In the All Saints Forum at 10:15 a.m. ... or Live Streaming here. As a 13-year cancer survivor and a person with deep admiration for Elizabeth Edwards, I again find myself disturbed by the way many in the media (and often the public) refer to someone who has died of the disease. I've already seen many headlines and heard television news anchors lead with some variation of the line, "Elizabeth Edwards loses her battle with cancer." Rarely is this language associated with those who die of other ailments. Have you ever heard it reported that someone lost his/her battle with heart disease or a stroke? For many of us who have fought or are fighting cancer, winning or losing the battle is not simply defined by how long one lives. It's just as much defined by how one lives with the disease. Since her diagnosis six year ago, Elizabeth Edwards lived a passionate and courageous life. She faced her many personal trials with grace and dignity. She remained a devoted mother, and a dedicated activist for her causes and beliefs. She lived life fully and completely. Cancer may have taken Elizabeth Edwards' life; it most certainly did not defeat her. I want to share with you sad news of the death of All Saints’ oldest member, Lydia Wilkins. She passed peacefully from this life to the next yesterday, two months shy of her 107th birthday. It is almost impossible for me to imagine a Sunday morning without her determined spirit, warm smile and quick wit emanating from the front pew. The many wonderful stories we have to share with one another about her long and influential life in Pasadena will continue for the rest of our lives. A memorial service celebrating her life will be on January 16th at 5:00 p.m. Please keep her daughter, Marjorie, and her family in your prayers. And give thanks for the gift of Lydia, knowing that heaven is an even more interesting place now that she is there. Where sorrow and pain are no more, neither sighing but life afterlasting. Read the the Pasadena Star News tribute to Lydia here. PASADENA - When Lydia Wilkins was born Jan. 17, 1904, women didn't have the vote and voting was difficult or impossible for most black men. 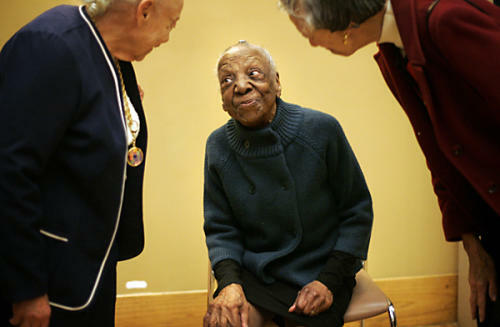 Now, at 104, Wilkins is getting ready to cast her ballot for a woman or a black man for president of the United States in the November elections. "I didn't think I'd live that long - I think it's wonderful," she said of candidates Hillary Clinton and Barack Obama. "But I think I'll vote for Obama. Yes, why not?" As Black History Month begins this month, Wilkins is a living link to a century of hard-fought change in race relations. "I have lived in some terrible times," she said, sitting in the tidy bungalow she and her late husband, the Rev. William Alfred Wilkins, retired to more than 30 years ago. "People were still black and white. It made a difference." Growing up in East Orange, N.J., Wilkins said she was spared much of the overt racism experienced by blacks in the South and elsewhere. She graduated from a racially mixed high school. "New Jersey didn't have strict segregation," she said. "No one at school was allowed to call names, and most of the children did a lot to fight segregation. The boys played football, and they played so well they were always on the team." Her mother and grandmother were strict, and neighbors were always on the watch for misbehavior, she recalled. "My parents were right on their toes," she said, smiling. "The least thing that happened at school and they were right there. We didn't have all this killing when I was growing up." But she still remembers dropping out of Temple University in Philadelphia because of swimming class. "That's why I didn't finish college," she said. "They encouraged the girls to get out of the pool if I got in. It was terrible. Boys aren't as bad as girls, are they? When they did that, I wouldn't go back and that's what they wanted." But she did meet her husband at Temple. The couple came to Pasadena in 1933, when her husband became vicar of St. Barnabas Episcopal Church on North Fair Oaks Avenue. They and their two daughters stayed until 1942, when he became a World War II Army chaplain, and they retired here after he had headed churches in Texas and North Carolina. In 1982, the couple celebrated their golden wedding anniversary at All Saints Episcopal Church, where Wilkins still attends services every Sunday and goes for lunch across the street at McCormick and Schmick. "It's one of the highlights of her Sundays," said Barbara Jackson, who has helped "Miss Lydia" since July - and is the beneficiary of her advice on etiquette, table-settings, grammar and the proper way to clean silver. Wilkins is still "sharp as a tack," said her daughter, Marjorie Jones, 74, who lives in Vallejo and visits often. "Nothing gets by her." Her mother was always politically active, Jones said, and her father was "very much involved in the NAACP." "Dinnertime conversation was always political, and she didn't go a day without reading the paper and having something to discuss," Jones said. "She always goes to vote, and she won't do an absentee - she has to go there." Until she was about 101, Wilkins drove herself to the polls. "When she turned 100, she went out and purchased a brand new car," said Andre Vaughn, her next-door neighbor. "She gave it up when she was involved in an accident. She wasn't at fault; someone ran a red light." Vaughn recalled a police officer coming to his door. "He asked, `Is she really 100?' and when I said yes, he was flabbergasted." Wilkins doesn't dwell on the past, Vaughn said. "She's always in the here and now. Once in a while she'll reminisce, tell some funny thing, something bad she did as a little girl," he said. She spends her day watching television - "Dr. Phil, he's my favorite," she said - and being out and about, regularly getting her nails and hair done. Her secret to a long life, she says, is that she's never had a cola drink. "My grandmother said it wasn't good for me." Jones said her mother has a few other secrets for longevity, too. "She still likes her martini," Jones said, laughing. "What's interesting to me is for breakfast she likes half a grapefruit, all the sections cut out, sprinkled with sugar - and then rum." The Reverend Mpho Tutu Comes to the All Saints Rector's Forum! 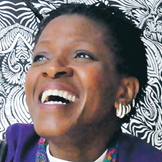 On Sunday, December 12 we are delighted to welcome to the Rector's Forum the Reverend Mpho Tutu -- priest, author, activist, daughter of Archbishop Desmond Tutu and co-author of "Made for Goodness." She will share with us some of the creative journey of authoring this inspiring book with her famous father and the core values of hope, love, justice and compassion that ground her in her work and witness. She will also introduce us to the Archbishop's newest book -- The Children of God Storybook Bible --retelling more than 50 of the Bible’s most beloved stories—Adam and Eve in the garden, Noah on the ark, Abraham in the desert, Jesus on the mountaintop. Each of the stories speaks to God’s desire for all people to love and forgive one another. The stories show how God works through history, and each one ends with a short prayer which personalizes the message for the reader’s own life. There's Still Time to Order from the Alternative Christmas Market! Instead of buying “things” for family and friends this Christmas, your dollars will be going to help kids visit their parents who are in jail; to help gang members get back on track; to help homeless and abused women; to help kids in foster care; and the list goes on. The BEST EVER Alternative Christmas Market was held on December 5th, but there's still time to order! See our fabulous Alternative Christmas Market Catalog -- and the equally fabulous ACM Shopping List. For more information contact Norma Sigmund in the Peace & Justice Office at 626.583.2734 or nsigmund@allsaints-pas.org. 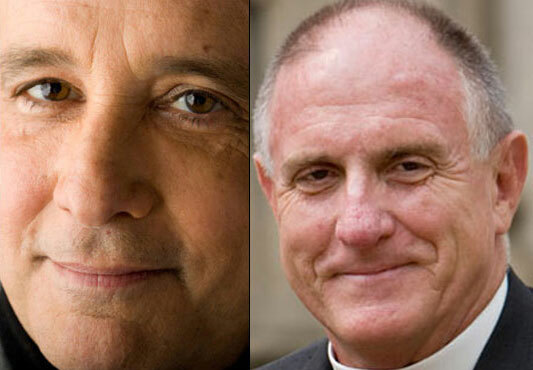 The 115th Annual Meeting of the Diocese of Los Angeles was held in Riverside December 3 & 4. Here's a look at All Saints in Action @ Diocesan Convention! Ed Bacon will join Andrew Harvey for [ALOUD], the Interfaith discussion series, at the L.A. Central Library, on Tuesday, December 7 at 7:00 p.m. Harvey, a poetic and passionate mystic and writer, suggests that what unites all religions “is a truth that the service of God is putting love into action.” He discusses his dramatic life conversion from mysticism to mystic activism with the Rector of All Saints Church—known for its focus on social justice initiatives. ALOUD programs take place at the Los Angeles Central Library's Mark Taper Auditorium, 630 W. Fifth Street, Los Angeles, CA 90071. Get more information and make reservations online here.